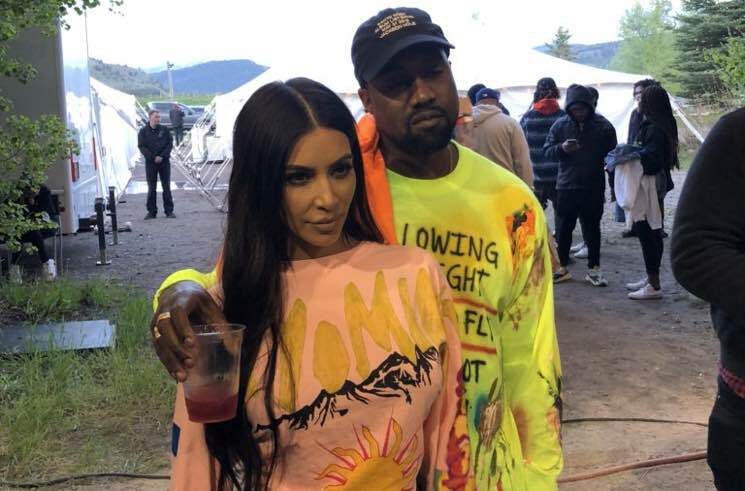 Kanye West made a spectacle out of his latest album release, but it seems like the extravagant listening party for ye has had some lasting consequences. The Wyoming ranch that hosted the event will no longer take bookings from rappers. West unveiled his new album last Thursday (May 31) during a star-studded party at the Diamond Cross Ranch in Jackson Hole, WY, but venue owner Jane Golliher won't be inviting the guests back anytime soon. She was quick to acknowledge the boost in exposure and praised Kanye's team, but speaking to The Blast, Golliher said the listening party was the "most confusing" event the venue had ever handled. She said that the party plans changed every half hour, including a shift from indoors to outside that triggered several noise complaints from locals and neighbouring resorts. Despite Teton County orders to keep all sound after 10 p.m. below 80 decibels, West's listening party didn't start until 9:30 p.m., and the music was allegedly cranked up to 120 decibels. Despite a prior agreement that the party would be over by 10 p.m., Golliher said that her husband had to threaten to pull the power around midnight unless the noise was lowered. Golliher insisted that she harbours no ill will toward West or his party guests, but did say there would be "no more rappers" hosted at the ranch. She is, however, open to hosting daytime concert events for "good music" — just not G.O.O.D. Music. Below, get a social media recap of the event from some of the famous faces that attended. Pre-order ye on vinyl via Umusic here. ☁️⛰⛅️ YE Album out now ! Happy to be on three out of seven songs. All mine (❤️😍😘) , wouldn't leave (co produced on this one as well) and violent nights !